If music genres and seasons pair well together like wine and cheese, then fall is garage rock season. Deep Scorpio skies call for fuzz tone effect peddles and leaves falling from trees recall amateurish lyrics that have more truth than practiced customer service greetings and little conversations. It’s the vehicle that allows us to understand the change happening around us, or it’s Halloween and the music seems grittier, bittersweet, and darker. Garage rock is a 60’s phenomenon, brought to us by the explosive inspiration a post-Beatles world wrought. Throngs of teens headed to their garages with their electric guitars and threw down primal riffs and lyrics in a way that had never been experienced before. 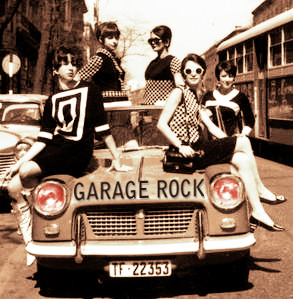 Garage rock is known for simple chord structures and distortion fed through a fuzz box accompanied by sometimes aggressive, but always direct lyrics. Take these from a song titled ‘Talk Talk’ by the Music Machine (1966): I’m out of circulation/ I’ve all but washed my hands/My social life’s a dud/My name is really mud/I’m up to here in lies/Guess I’m down to size (check out the you tube video here: https://www.youtube.com/watch?v=iZExWt-bj-k).The lyrics are not entirely shocking now, but for the time they would have expressed a feeling that did not fit well into a post Eisenhower world – a repressed culture that was on the verge of the psychedelic experience. 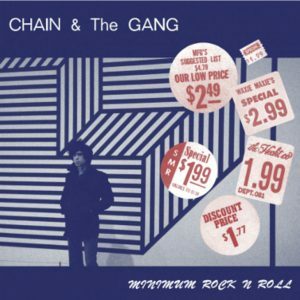 Chain and the Gang is a band headed by singer Ian Svenonius who at one time was edgy 90’s teen magazine Sassy’s ‘Sassiest Boy in America’. He has since fronted a band called Nation of Ulysses, and written two books: The Psychic Soviet, and Supernatural Strategies for Making Rock-n-Roll. Svenonius is an elitist when it comes to culture and music but it comes off well on Minimum Rock-n-Roll. The music is what I love in garage rock, mostly that the classic combination of guitar and drums relays a rough and on-the-verge feeling that never goes away. 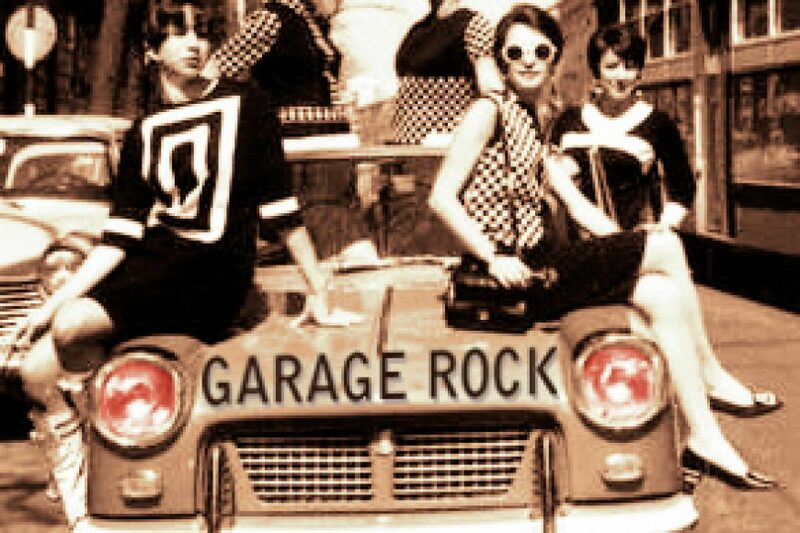 If the appeal to the human brain in music, art, dance, or literature is a reflection of emotion then garage rock is my mirror. I’m a Choice (Not a Child) is slow open-ended sort of love song with a sixties back beat and doo-wop undertones. While Crime Don’t Pay is everything you’d want in today’s garage rock without a real mop top. I recommend looking more into this guy if you have the time, he’s interesting, or boring, depending on how seriously you want to take him. King Khan and the Barbeque Show are two men named Arish Ahmad Khan and Mark Sultan from Canada that have been refining the art of garage rock since the early nineties. King Khan has toured for years as King Khan and the Shriners and Mark Sultan (Barbeque) has had his own bands through the years. This is the basics of electric guitars, drums, and generous use of a tambourine. It’s not The Animals, and these songs are not House of the Rising Sun, rather they make use of lyrics such as ‘I hope you’re an organ donor’ on the song Kiss My Sister’s Fist. There are hints of R&B with the hard beats of Buy Bye Bhai where Khan stretches his raspy voice reminiscent of Otis Redding. 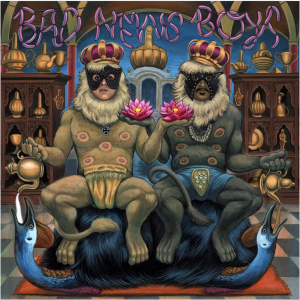 The whole album is a love note to that marriage of punk and garage rock – it’s a blend of those rhythms, beats, and tones perfected in the 50’s and 60’s layered on top of sarcastic and blatant lyrics of a failed social world of the eighties. I first heard King Khan on an NPR station long ago and I’m still patiently waiting for him to play a show somewhere near where I live because they’re supposed to be a gas – someday maybe……..